The short was finished earlier in 2016, a project of the Newfoundland Independent Filmmakers Cooperative, and has since been on the festival circuit. 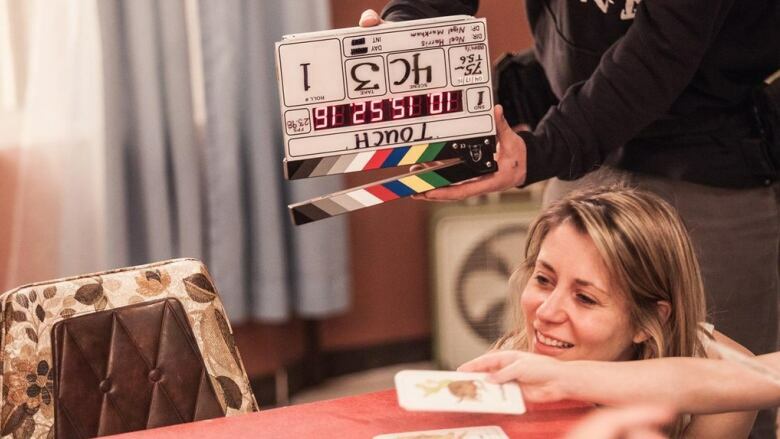 A made-in-Newfoundland short drama has made a big impression in Cannes, France. Touch was given the Jury Choice Award at the Diversity Short Film Showcase. "It's a story that touches the heart. Everyone who has seen the film has talked about that," Noel Harris, the writer and director of Touch, told CBC Radio's Weekend AM. Touch tells the story of a poor Newfoundland family, when in a pinch, a woman asks her brother to babysit her two kids. The filmmakers are happy to leave most plot details vague to those who haven't seen it, except to say it has little dialogue, with the main character never speaking a word. "When people realize that afterwards, they're like 'Oh my god, he never did speak once, yet he spoke so much through his body.' Great acting does that. You really don't need dialogue," said Harris. "[It] makes you reflect upon how you live your life, and how you treat people, or how you may judge people because of the clothes they wear or the car they drive," said Mark O'Neill, the film's producer. The film was finished earlier in 2016, a project of the Newfoundland Independent Filmmakers Cooperative, and has since been on the festival circuit. That circuit will include a stop in June at the Nickel Independent Film Festival in St. John's, where it will close out the festival, a date Harris and O'Neill have circled on their calendars. "We can't wait actually," said Harris. "It was inspired by the Newfoundland culture we grew up in, and I think the Newfoundland audience will really enjoy the story. The performances are absolutely amazing." Touch stars several local actors, including Darryl Hopkins and Krystin Pellerin, best known for her work in Republic of Doyle. After the hometown premiere, Harris said there are plans to make the film available for a wider audience, a goal they worked on at Cannes. "We've been talking to distributors and sales agents, so we're making a plan on how to get it out to the world."